OK, so you know what FastPass+ is, you know how to use it, and you’ve got a pretty good idea of how to get the most out of it? Now you’re looking to crank it up to 11 and take this ninja level, right? First of all, full disclosure, the glory days of being able to hoard multiple FastPasses and then use them at the end of the day in a headliner free-for-all are unfortunately behind us, and there’s nothing in here that reaches that level of awesomeness. Moreover, everything here falls squarely within Disney’s rules and practices. With that said, information is power, and knowing what it will and will not let you do can help you make the most of it, and hopefully do some things you hadn’t considered. Sometimes, you’ll try to make a FastPass+ reservation for an attraction for your group and there’s simply nothing available (this is probably most frequent when trying to make reservations on relatively short notice for in-demand attractions). Before you relegate yourself to waiting in the regular line like a plebeian, you might try splitting your group into smaller groups to see if that changes the availability. For example, let’s say that you have a party of 4, and you want to experience the Seven Dwarfs Mine Train, but the FastPass+ system is telling you that there’s no availability. It could be that they don’t have an hour of time for a party of four, but they might for two groups of two, or even four single reservations. Accordingly, try breaking your party down into smaller groups and see if that changes the availability. Moreover, those time blocks for the smaller groups might overlap, such that you could still experience the attraction together (e.g., if one window starts at 1 pm and the other starts at 1:30, there is a 50 minute window, including the grace periods, where both groups could ride at the same time). 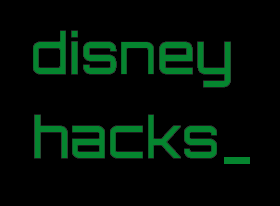 Granted, this might take some trial and error and shuffling of things around to get it to work, but it could be the difference between being able to FastPass an attraction and not. If a particular attraction is important to you, however — especially one that has the tendency to generate long lines — it can be worth the extra effort. Little known fact: while Disney cares deeply about the MagicBand matching the person when entering the parks, they really don’t seem to care who is using them when it comes to attractions. If you’ve got a kid that is too short or scared to ride Space Mountain, you are 100% free to use his or her band to ride it. You can use this little loophole to ride attractions multiple times, or to FastPass more attractions than you otherwise could if the other things you want to do do not require FastPass+. 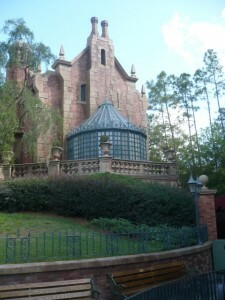 For example, imagine a family of four at the Magic Kingdom, two thrill-ride-loving parents with two children, neither of which are tall or brave enough to do the “big rides.” The parents could get two family friendly fastpasses, and then select Space Mountain, party of 4, for the last FastPass. They then go in and swap their children’s Space Mountain FastPasses for Splash Mountain and use them to skip the lines on two headliners rather than just one. Here’s the deal: you can make your FastPass+ reservations at midnight 60 or 30 days before your arrival, but, like restaurant reservations, you can make them for the duration of your trip. The net result is that when you log on to make your selections for Day 1 of your trip, people that check in on the days before you arrive have already made FastPass+ reservations for that day. While this isn’t a huge issue for most attractions, when there’s something new and in demand, you might find that there are no times available on day one of your trip at the 60 day mark, or that the times don’t really work with your schedule. It wasn’t too far in the past when demand for attractions like the Mine Train, Enchanted Tales with Belle or the Elsa and Anna meet and greet was so great that getting on at midnight at the 60 day mark was necessary to reserve the attraction at all, and many people would do just that. Accordingly, you weren’t just competing with the people that had already booked, you were also competing with the other people that would check in on the same day as you and were also online scrambling to get these reservations. While there’s nothing currently at any of the Disney parks that require this level of dedication/panic to get a reservation at all, there are some heavy hitters coming down the pike between the new Frozen attraction, the upgrade to Soarin’ at Epcot and Pandora at Animal Kingdom further down the road, and it would not be unusual to see this level of demand rear its head again soon. To maximize your FastPass+ options under these sorts of circumstances, book FastPasses from the end of your trip and work forward. For example, if you know you’re going to be at the Magic Kingdom on Day 1 and Day 6 of your trip, try booking Day 6 first to ensure that you’re competing with as few people as possible. Even if there are other people that, like you, hop on at midnight Eastern to make their FastPass+ reservations, they are likely starting from their first day and working forwards, so you’ll have a few minute jump on them to make sure that you get what you want at some point during your trip. Once you have that locked in, you can always go back and change it to something else if you’re also able to get it at an acceptable time earlier in your trip. Here’s something we do all the time — let’s say you have a FastPass+ in hand, but you get to the attraction and find it completely unnecessary? DON’T SCAN YOUR BAND. Instead, use the standby line, open the MDE app, and change your FastPass+ to something else. It only takes a few seconds, but could save you significant time waiting at another attraction — and worst case scenario, you’ve essentially bumped up the time to make your first extra FastPass+ reservation. Indeed, you continue to maintain control of your FastPass reservation until it expires, so even if it’s just that you don’t think you’re going to make it in time, you can also go in and change it to a later time via the mobile app or something else entirely. You’ll have a better selection at that moment than if you wait until your other FastPass+ reservations have expired. Example: you have a FastPass for Pirates from 10-11 a.m., followed by additional FastPasses at 11 and noon, such that the earliest you are going to pick something else is shortly after noon. When you show up at Pirates, however, you don’t need it. Rather than using it anyway, or just letting it go to waste, you could change it then from your phone to something after noon. Your options will be much better than if you were to wait until your other two expire to snag another FastPass. This next tip is sort of a niche thing that is very situational, but it’s helpful enough a tip that I thought I’d share it anyway. It is necessitated by Disney’s requirement that extra FastPasses can only be acquired for the park that you’re in, and made possible by the fact that only one person needs to scan their MagicBand to be able to make reservations for the whole traveling party. On our last trip, we spent the morning at Hollywood Studios, with the idea that we’d hop to Magic Kingdom later that evening. When we left, my family went back to the room to rest, but I took a bus to the Magic Kingdom, popped into City Hall to grab everyone a Haunted Mansion FastPass+ for the time we expected to be back, and then made my way back to the hotel. Had we waited until we went back to the Magic Kingdom to get those FastPasses, they would likely not have been available or would have been much later, but because we already had them, we were able to hit the ground running, avoid a decent wait right off the bat and then snag another FastPass+ to save more time later. Full disclosure, we were staying at the Contemporary, so stopping by the Magic Kingdom was a pretty minor detour. If we were not staying at one of the Magic Kingdom resorts, the detour probably would have taken so much extra time that it wasn’t worth it, even if I was the only one doing it. Like many of these tips, however, it’s a good thing to have in your back pocket if you find yourself in a position to take advantage of it. You may recall a recent article that I did on how thrill seekers can peacefully co-exist with those that can’t do thrill rides. The reality is that the attractions that generate the longest waits and accordingly that benefit the most from FastPass+ tend to be thrill rides, so if you’re riding them solo without a FastPass, you might be separated from your party for an hour or more. Recall, however, that each person’s FastPass+ reservations can be managed separately, and there is no requirement that everyone experience everything together. Accordingly, lining up FastPass+ reservations for those that want to do them with FastPasses for other attractions for the rest of the party can be a great way to minimize waiting for everyone. I will preface this section by noting that I make no warranties that this will work for you every time or even any time. Sometimes, despite your best efforts, something goes awry and you show up to an attraction without a valid FastPass+ reservation for everyone in your party. Perhaps you have family in the area that was able to join you on short notice, or the heavens absolutely open up on your way out the door and you stay at your resort for an extra 45 minutes. As they say, you miss 100% of the shots you don’t take, so you might consider just explaining the situation and asking the Cast Member for a little leeway and seeing what happens. At least in my experience, they seem to have a great deal of discretion to help people when the situation warrants it, and who knows, you might get lucky. What say you, readers? Have you used any of these in the past? Do you have any tips or tricks that I missed? Please let our readers know in the comments! Your Walt Disney World Hotel Gift Shop: What Did You Forget? Chances Are They Have It. Fly AND Drive? It can be done. We used the double down strategy very effectively about 3 years ago. My daughter wasn’t tall enough for Space Mountain and my son had no interest in visiting princesses. So my daughter saw both sides of the princess meet and greet (meaning she didn’t have to choose – the relief was immense) and my son got to ride Space Mountain twice – once with each parent. Worked like a charm. I am aware that this is the case for resort guests at the 60-day mark. Can off-site guests make Fastpass+ reservations for the DURATION of their trip (i.e. for as many days as they have ticket entitlements linked to MDE account)at the 30-day mark? I was under the impression that it was on a day-by-day basis, as are ADRs for off-site guests. Also, I have used Fastpass+, but I have never let one expire. If you can’t or don’t want to use a Fastpass+, must it be changed before it expires or it is gone for good? Thanks for these questions, as there is a need for some clarification here — for off-site guests that have purchased park passes, you can make FP+ reservations at the 30 day for one day. You would then need to come back the following day, and so on and so forth. A bit of a hassle, but that’s the rule. It’s a bit different for Annual Pass Holders. You can make reservations at 30 days, and you can make them for 7 days thereafter. If you let a FastPass expire, it is essentially the same as if you used it. It goes away, and you can’t swap it out for something else. If you do want to change it, you need to make sure that you do so before it expires. Thank you for the clarification. I had thought that was the case regarding FP+ reservations for off-site guests. James, again I can’t say things haven’t changed, but it has definitely been possible in the past to reschedule expired FP reservations in the same way that unused ones could be rescheduled. It’s worth re-checking that one. You can reschedule expired fastpasses, I did it last week from the app, no problem. I had scheduled SSE at Epcot for 9am, knowing we’d not need them, just because we had to pick 2 from tier 2. Anyway, when we were leaving Epcot after 3pm, there was a line for SSE but I wanted to ride it one more time, so I moved all 6 of our unused SSE fastpasses to 3:20pm and we walked right on. 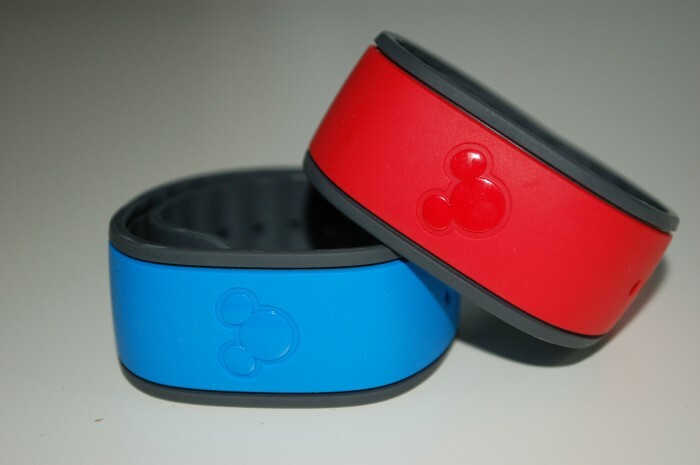 Can a magic band be used for a FP reservation if the person is not in the park? Say you have a sick kid and Mom stays in the hotel with the kid, could you take their bands to the park and use their FP reservations even if they don’t enter the park. I know this wouldn’t work with the cards, not sure about the bands. Unfortunately not. The person holding the FastPass needs to go through the gate and scan their band to enter the park for the FastPasses to become active. James, I can’t be certain that things haven’t changed, but last September I pre-booked fast passes for both myself and my wife, and then successfully used both of them myself. She was back home in California, and her band had definitely not been scanned at an entrance turnstile. I had entered the park using an annual pass, but my wife’s fast passes had been scheduled using a regular 7-day ticket – and I used them successfully. So that may not tell us much one way or the other, as both types of entitlements were involved. well, color me puzzled. Literally just spoke with Disney about this this morning, but if it worked for you, I guess it worked. I’d be curious to hear if anyone else has tried this and had it work (or not). Given that this is something that Disney specifically disavows, maybe this is one of those things that you try and hope to get lucky? I encourage someone else to test this approach – you’ll need a ticket that you aren’t using that day, or at least aren’t using until later in the day. What Nicholas is describing worked for us in November 2015, as well. In the middle of our trip, one person in our party was tired and just wanted to stay at the resort for the day. We did not scan her magic band at the gate, but we used it for fastpasses, and it worked just fine. None of us had annual passes. Regarding the real time line management of FP+, I tried this during my last visit in September 2014, but MDE would not let me reschedule a fastpass if I was already in the window to use it. Has this changed or is there a trick to it? I honestly don’t have a great answer here. I can tell you that I was able to do this as recently as January 2016, so perhaps it’s just a matter of them changing the policy since you used it? I was also able to reschedule my FP+ during its window during our January 2016 trip. I actually had a lot more options for times once I was in the window, and I’ve noticed that trend several times in the past few years. Awesome. I’m glad that it changed! Thanks! For those that have used FP+ recently, has it gotten any better? Last year when we used it was almost impossible to manage each persons fastpasses individually, it took a lot of finagling and often didn’t work out like I wanted. Also, getting new fastpasses or changing fastpasses on the day on my phone was completely impossible because there was never any availability. It is not without fault, but across the board, I would say it has become less buggy, more stable, and all-around more useful since it was first launched. I don’t hear near the avalanche of complaints about it that were heard shortly after it went live, and my own experience with it has been pretty positive. Day-of FastPasses are a function of the crowds that day and the time you are trying to make a switch — the busier it is and the later in the day you’re trying to make a change or get a new FastPass, the less availability there’s going to be. Thanks as always for the informative articles. Do you know when Disney puts up available fast passes for new attractions, specifically the new Frozen one at Epcot – we are heading to the World in late June – will they allow us to book a Fast Pass before the attraction is actually open? The short answer is no, I don’t know for sure. 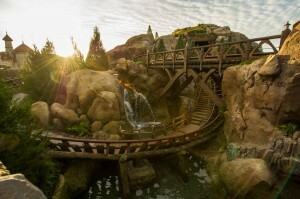 Looking back at how it was done with the Mine Train, however, Disney announced a May 28, 2014 start date for that attraction on May 2, 2014, and FastPass+ reservations were available from the May 28 opening forward, so one would assume a similar timeline for new attractions going forward as well. As an aside, the demand for those 7DMT FastPasses crashed the system on May 2, so you can expect a rush of people running to their computers as soon as an announcement is made. Thanks James – much appreciated. On a sort of related topic, I saw on another site that Big Thunder Mountain RR was originally scheduled to be closed from April to July, but that has changed to August. Can you confirm? We will certainly use a FP for it. One hack I haven’t tried: if you’re churning FP+ in the morning, as soon as you scan in or finish your first ride, try to use MDE to bump up your times for your remaining 2 FP+. Of limited value due to limited availability, but if your windows start at 9:30, 10:30, and 11:30, you may be able to change that second window to 9:45 or 10 after you use that first FP+. And try to repeat when you use the second. You could be getting that 4th FP+ an hour or so earlier than you could otherwise. There aren’t many scenarios where this would save you significant time; if there are earlier times available on attractions you’re interested in, there’s a good chance the park isn’t that crowded anyways. But you could probably zoom through Adventureland and Frontierland a little faster this way. I have done this several times during our last few visits. After the second scan on our fast pass attraction, while waiting in line still, I up the time on my next fast pass and continue doing that if possible. This lets us load a 4th faster and then 5th……I am sure during very busy times or for popular attractions you wouldn’t be able to, but we have done this for pirates, haunted mansion and space mountain. I have also done this several times. It won’t always work, but when it does, it saves tons of time. Thanks for this great tip! Never thought of it!! I’m confused. In your “hopping” example, did you use all your scheduled fastpasses at one park and then add one at the other? I didn’t know you could do that. Once you’ve used your 3 scheduled FP+, you can get an additional one at any kiosk anywhere. And once added at a kiosk, you can use MDE to change that FP+ to anything in the same park as the kiosk where you got it. I did, but I had to physically be in the other park to do it. That said, you don’t need everyone there, so I let my family go back to rest while I popped into the Magic Kingdom to secure fast passes for everyone else later in the day. Depending upon where you’re staying it might not be worth the hassle, but it worked well for us given that we were staying near the park where I popped in to get the FP, so it didn’t add that much time. On our last visit, we hopped to DHS before we used all of our EpCOT fast passes, we had to cancel our remaining fast passes before we were able to add additional ones at DHS. Since you will soon be able to schedule an additional FP from MDE, do you even need to physically go to the park to do it? Great question, and I was hoping Disney would offer something in the manner of official confirmation and/or details before this post ran so I could include it as necessary. At this point, it’s unclear whether or not you will need to physically be in the park where you want to make your additional FPs — MDE does use GPS, so it could restrict your options to the park you’re in, in which case this current tip doesn’t dramatically change. If you CAN make FP reservations in another park, well, this “Afternoon Pop In” becomes completely unnecessary — just make your later reservation from the MDE app. We’ll just have to see if and when Disney confirms this and indicates how it will work. Another time saving tip… If the fast pass kiosk line is short, always get a fourth fast pass even if there is nothing good left. If you have the app, you can keep checking for another ride to open up and switch it without having to go back to the kiosk. I don’t quite get this strategy. Why not break them up 2 at Space Mtn and 2 at Splash Mtn in advance? Is there a child swap or something also going on? You could absolutely do it that way. I prefer to do them all at once to start because it’s easier to keep the one that you want together, together, plus it is less steps overall. It’s personal preference, though, you could do it as you propose as well. We will be at Epcot on May 13. When will be able to get faspasses for Forever Frozen, and what time of day should we try for? As for the time of day, I’d be speculating. There’s nothing about the ride that would suggest that it would necessarily be better or worse at any particular time of day, so I’d say just find something that works with your schedule. That said, definitely continue to keep your ear to the ground as more details are released, to the extent that it might shed some light on this. I am planning to use the touring plans for small children. The recommended Fastpass times don’t always match up with the steps. For example in the 2 day plan for MK, it suggests FP for Enchanted tales with Belle at 10:00 am, but the steps have it at #18 late in the day? Also, the Epcot plan suggests FP for Soarin at 9:00 am, but the plan has two steps before Soarin? Not sure how you do that when the park opens at 9 am? 1. 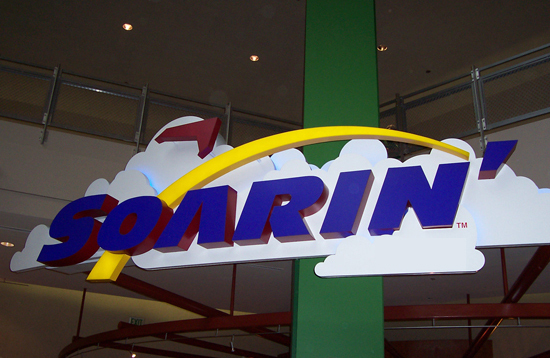 Your 9am Soarin FP+ will be good for one hour. So you can easily get on two rides with no wait that early in the morning and then make it to Soarin by 10am to use your FP+. If you are especially worried about it, make the reservation for 9:15am to be extra safe. 2. Try personalizing the plan and tell it that you have a 10am FP+ for Belle. When you optimize, it will place it at 10am and correct the plan accordingly. The reason it appears at #18 while also suggesting 10am for FP+ is that the later time is your best time WITHOUT FP+.